New company will be third-largest TV affiliate owner in U.S.
Media General Inc. announced today that it will buy Meredith Corp., in a cash and stock deal valued at $2.4 billion, which will create the third-largest owner of TV affiliates in the U.S.
Meredith shareholders will receive cash and stock valued at $51.53 per share, the companies said in a joint statement Tuesday. Media General shareholders will get one share of the new company for each one they owned in the previous firm. The deal is valued at $3.1 billion, including Meredith's $722 million in debt. The new company—which will be called Meredith Media General—will be led by Meredith CEO Steve Lacy and Meredith CFO Joseph Ceryanec. It will be the third-largest owner of network affiliates and will reach about 30 percent of U.S. homes with a TV, with 88 stations in 54 markets. "We are excited about the opportunity to create a powerful new multiplatform and diversified media company with significant operations on the local and national levels," said Lacy in the statement. "This merger will create a strong and efficient company positioned to realize the significant earnings and cash-flow potential of local broadcasting; leverage the unparalleled reach and rich content-creation capabilities of Meredith's national brands; and capture the rapidly developing growth potential of the digital media space." The deal is expected to close by June 30, 2016. 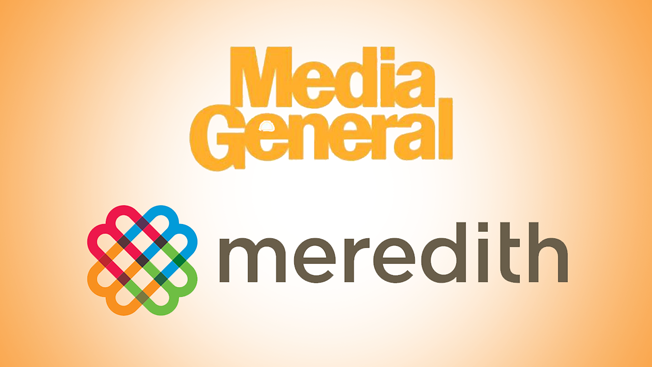 After the deal, Media General shareholders will own 65 percent of the company while Meredith investors will have 35 percent. Media General currently operates 71 stations in 48 markets, while Meredith owns 17 stations and several magazines, including Better Homes & Gardens, Shape, Parents and Family Circle. It was also long rumored that Meredith would eventually merge with, or acquire magazines from, Time Inc.